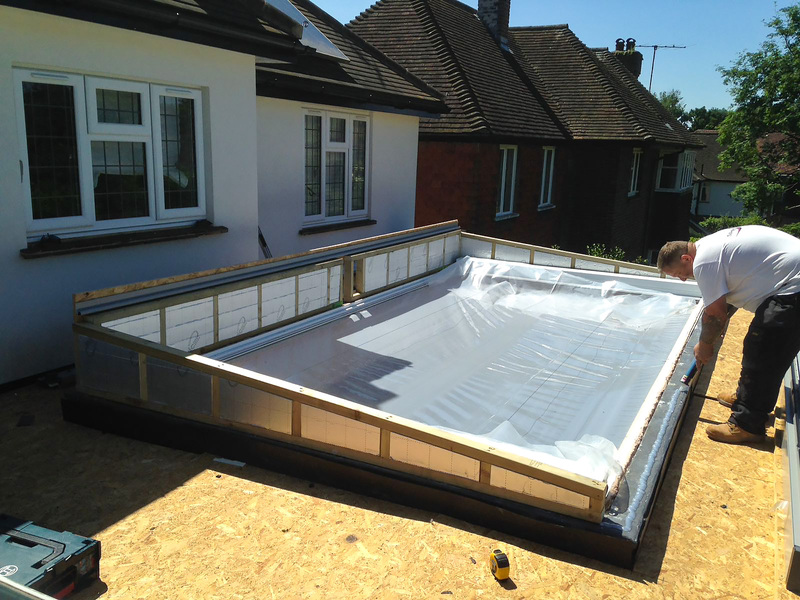 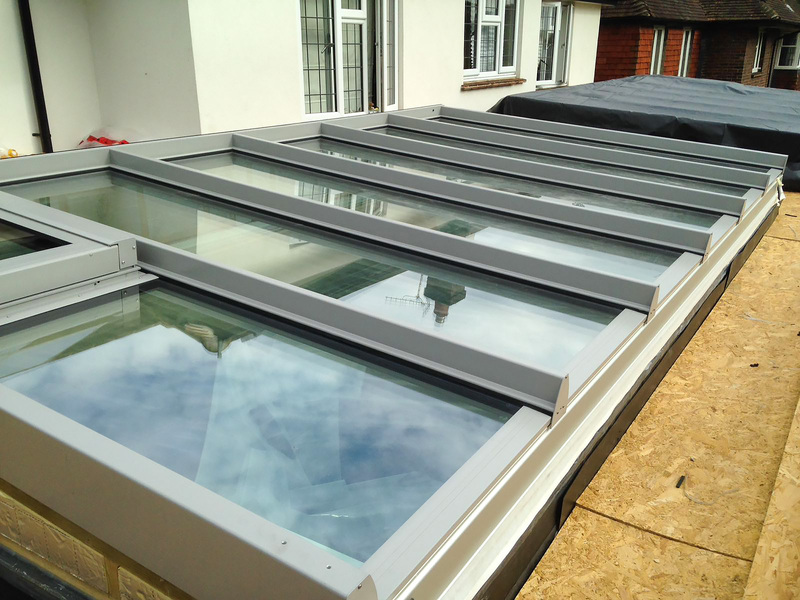 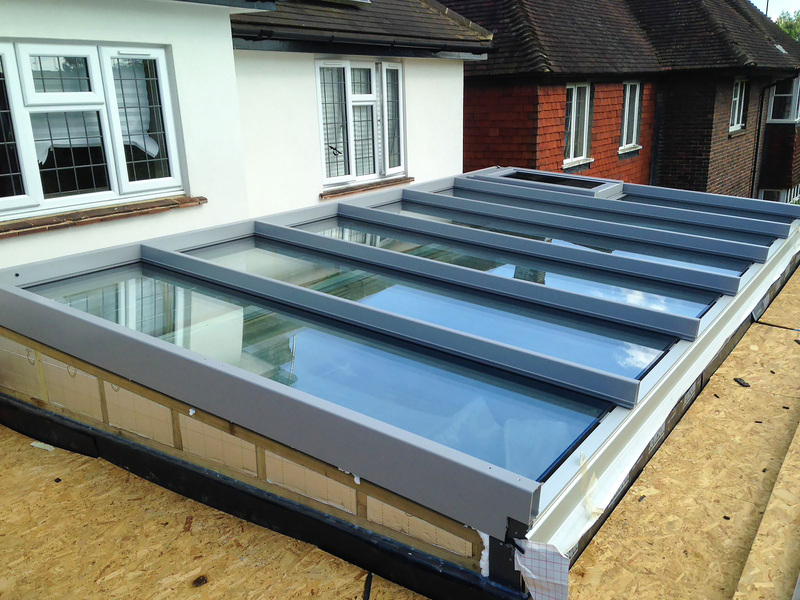 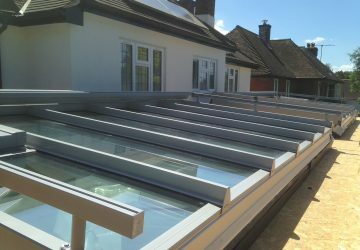 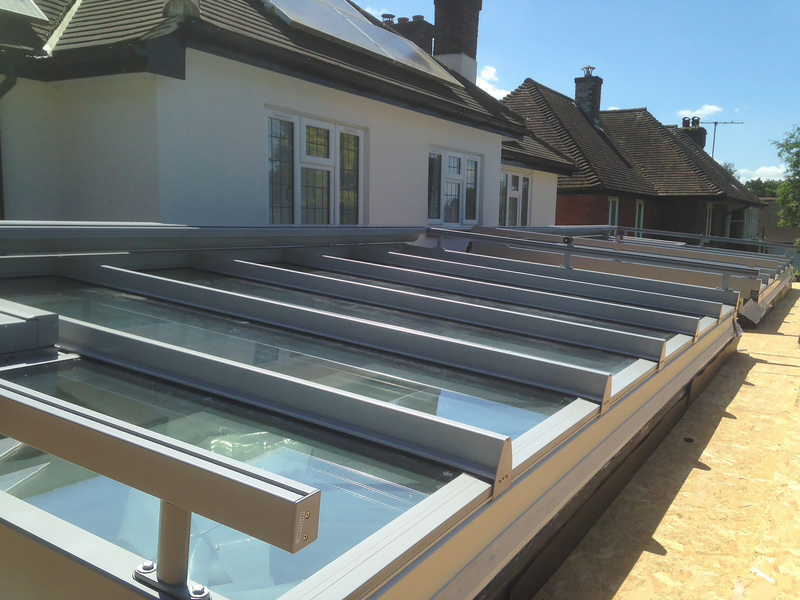 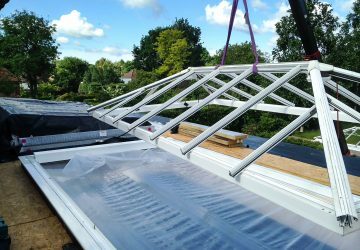 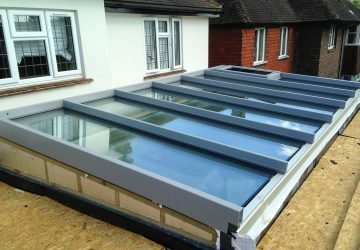 The customers were refurbishing and improvoing their flat-roofed single-storey extension. 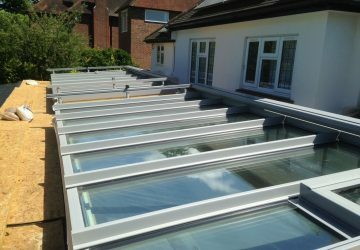 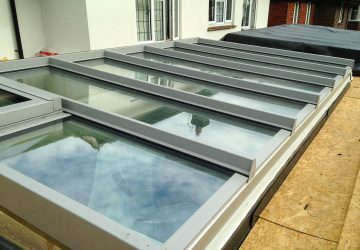 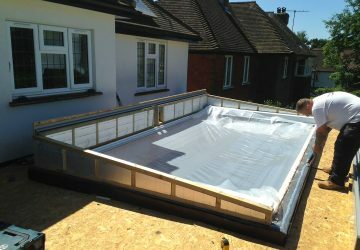 They wanted to replace the old pyramid rooflights with flat (5% slope) rooflights to improve the view from the bedrooms. 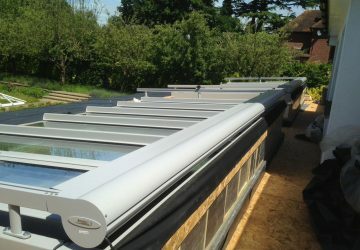 He also wanted better thermal efficiency and the Solarlux Akzent Plus system provided what they was looking for, combined with its legendary German quality and finish.. 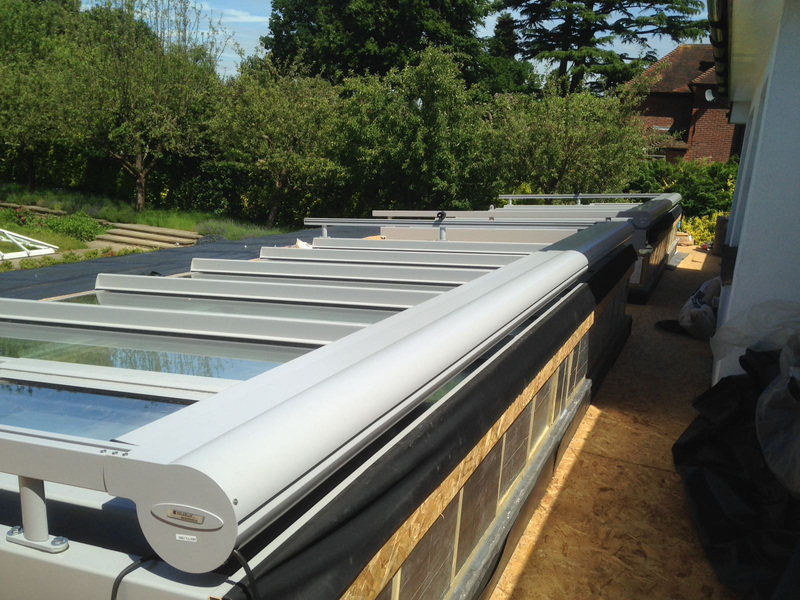 The automated blinds were a bonus, providing shade in summer to aid cooling, with the addition of automated sliding ventilation windows. 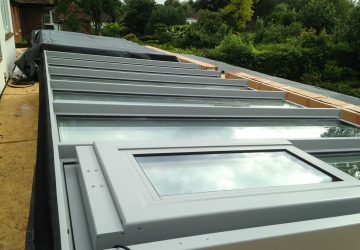 He also replaced existing bifold doors with huge 11 metre sliding doors which provide better light and a more open view. 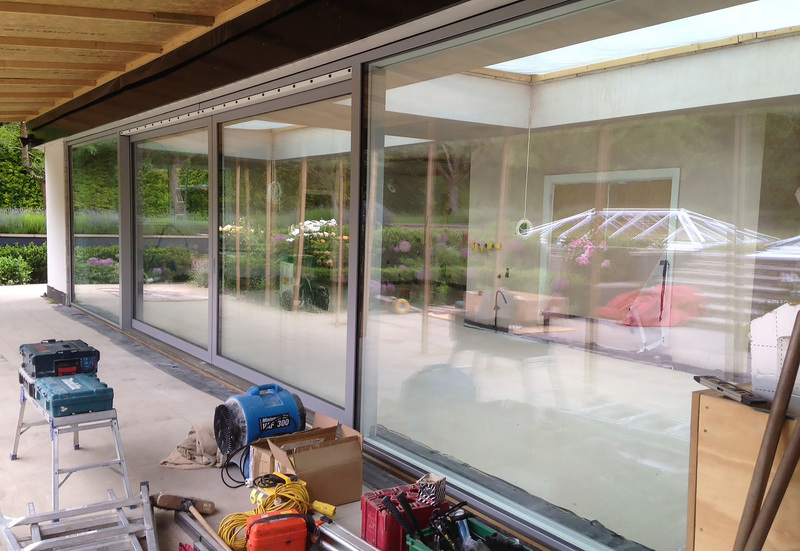 Sliding Doors: Internorm HS330, 11m x 2.5m, 4-panel, triple-glazed, Spruce timber inside, Signal Grey aluminium outside. 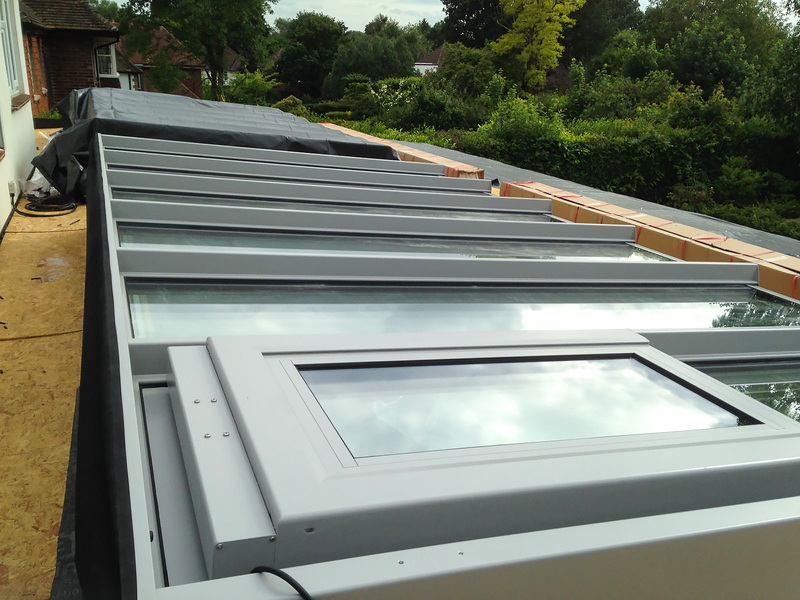 Windows: Internorm HF210 Home Pure, triple-glazed, Uw = 0.74, Spruce timer inside, Signal Grey aluminiumm outside. 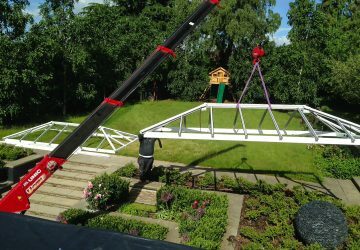 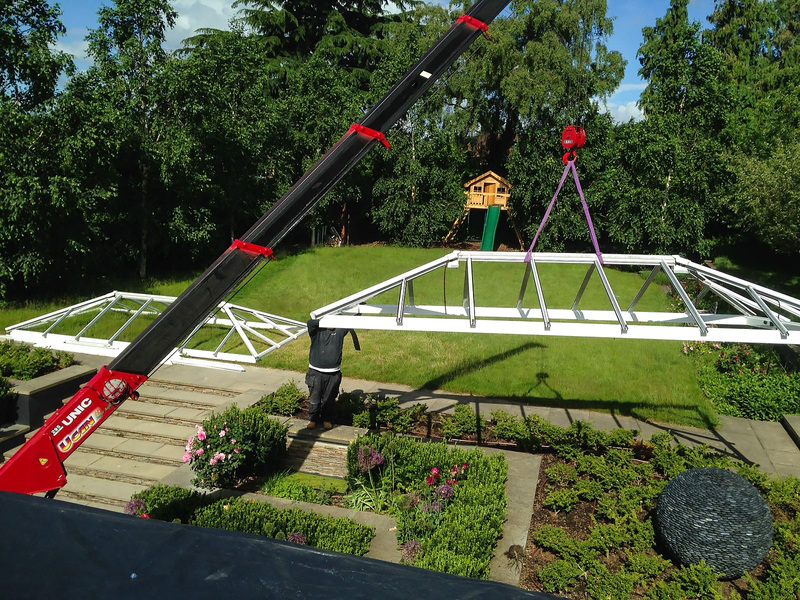 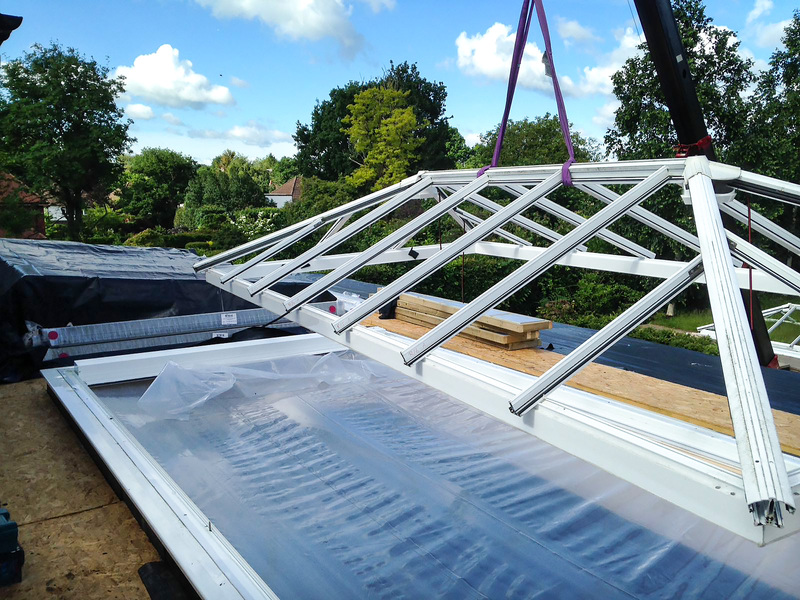 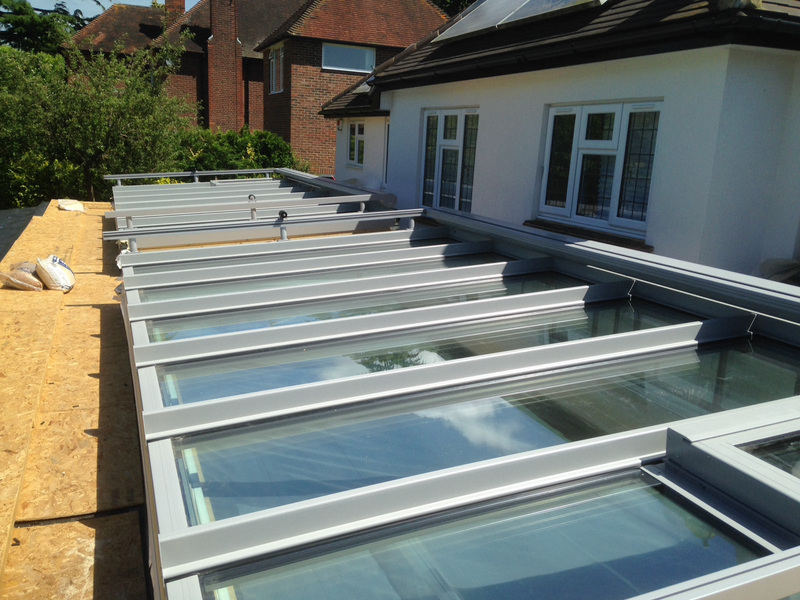 Removing the old rooflights was part of the agreed service and we were able to do this easily using our spider crane.